Since Mrs. Magician is one of my favorite bands in the world, of course I'm going to give a chance to a record put out on the label that one of the guys in the band started. Sure, that's heaping a world of expectations on an unsuspecting band, but Hideout didn't let me down. This is one of those bands that you hear about from time to time where the members live in different parts of the country and collaborate over long distances. I'm sure the hashing out process is slow, but the results are pretty great. Rookie is a spacey, far out kind of record, but still is anchored in enough upbeat guitar pop to where the songs remain catchy, focused and a good time to listen to. In the album description the comparison thrown around is early David Bowie. While Hideout never get quite as wacky as Bowie has a penchant for being, you can hear some sonic similarities with the way the songs are structured and some of the effects used while recording. At the same time, it's also very easy to compare Hideout to some of the more modern indie rockers out there. 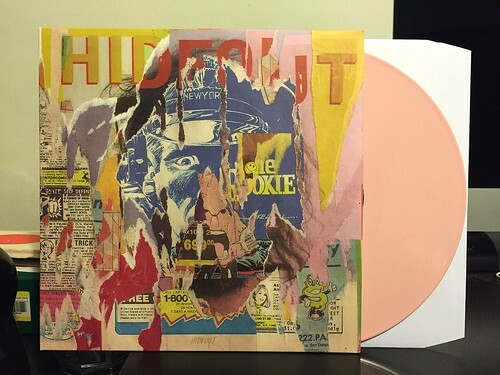 You can hear a little bit of bands like The Shins or Band of Horses if you're listening, but I find Hideout to be significantly more interesting than either of those bands. If you're going in hoping for Hideout to sound like Mrs. Magician, this record probably isn't going to work out for you. But if you're looking for some otherworldly pop that doesn't go too far off the deep end, Rookie is absolutely an album that should be checked out.